What is the meaning of Solo Traveler ?? Boy, am I going to get in trouble for writing this? Already I got into some rough waters when I came out of the closet and informed to the world that I am an MBBS MD traveler. Irrespective of what you label your travel as my only point is that travel for the joy of it, for the discoveries that you will make both to the lands you travel and the person you are when you are on the road whether alone or with friends. So let us continue our intellectual discussions about types of travelers. But before that let us meet two cyclists one from 100 % desi from my dear city of pearls, that has slowly turned from the laid back capital of Nizams to the bustling IT and BPO destination – Hyderabad that was built as one of the first planned city by Qutub Shahi Emperors in South India. The other is an old French man whom I met near Trivandrum at the former palace of the rulers of the Travancore state now part of Kerala or God’s Own Country. First about the French cyclist. 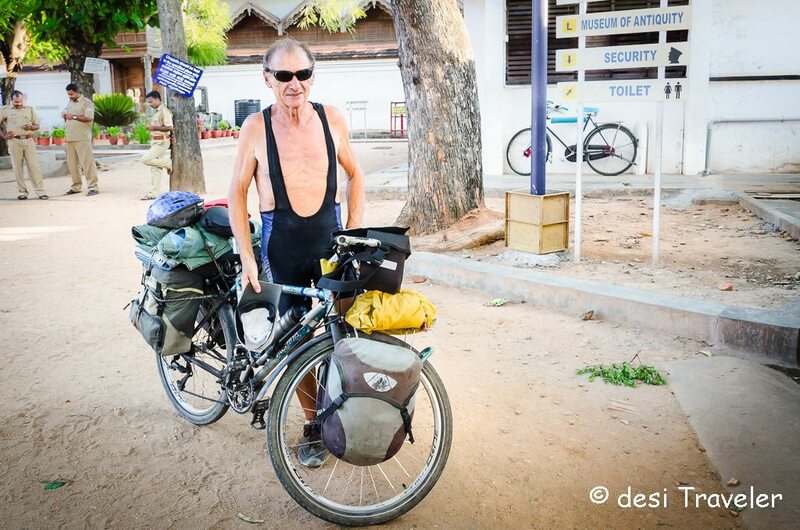 I met him more than a year ago briefly at the palace gates and was surprised to see his cycle loaded with all kinds of bags and camping gear. Mitchell (I think that is his name but I am not sure of the spellings), took a deep breath and explained to me that he is from a suburb of Paris, that eternal maiden in the heart of France and he loves cycling. So he started from France on his cycle, covered most of the Europe, and then entered Asia traveled all the way to India. With all his belongings that he needs on his cycle. He has traveled most of the India on his cycle and was now in Kerala. He has huffed and puffed in Higher Himalayas, Golden Fields of Punjab, the desert of Rajasthan, crossed western Ghats and was planning now to go to the East coast of India and then the north-east and then maybe enter Myanmar and continue in South East Asia into Thailand and further. I am not sure if his plan materialized or not as he does not maintain a blog or Facebook page. I am sure wherever he is now paddling to his next destination he is happy and enjoying his journey. His age you may wonder? Well around 65 plus. Before we meet the next Solo Traveler may I request you to Google for the word “Solo“? Travel with friends but are still solo as only the “SOLO traveler has a blog; twitter etc. where you broadcast your SOLO adventures. Travel with boyfriend / girlfriend/ husband / Wife who is designated photographer but never comes in frame, hence you are still a SOLO Traveler. Travel all around the country on invitation from hotels and tourism boards surrounded by 10 other bloggers / journalists / photographers but are still SOLO traveler because mummy jee / papa jee / Hubby dear / Wife jee did not travel with you. Maybe I am too much of a purist, maybe I have nothing better to do, maybe I need to get a life and stop worrying about how others are traveling. I mean who am I to question somebody’s solo travel from VT to Ghatkopar fast local, or the last metro to Gurgaon if they want to call themselves SOLO Traveler? And I am not making all this up, you read any blog of our solo travelers, join a tweeter chat on Solo Travel and you will discover this theme appearing again and again. Now a lot of you may say the kind of solo travel Mitchell is doing is not possible by Indians because of various reasons like – Log, kya kahenge, Mummy Nahin Manegee, etc. etc. So basically in India, Solo traveler is when you are not traveling with your family, rest of the billion people may be with you but you are a solo traveler if you are not with your immediate blood relations. 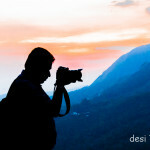 This is my understanding of the solo travel in India. 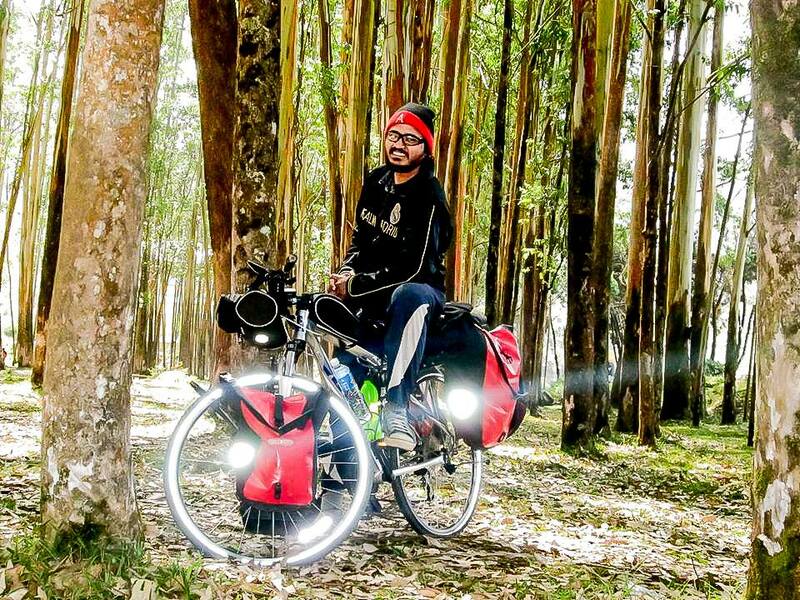 Anyways let us meet our next REAL SOLO traveler, an enthusiastic young man Akram Feroze who cycles around India and a few other countries all alone accompanied by none other than his cycle. 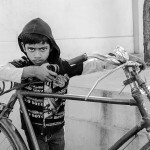 I met him a few years ago at a SOCH event in Hyderabad, where he spoke about his cycling expeditions in India. Akram works with village folks and creates, on the spot skits, nukkad natak or street plays in which the local kids, villagers etc. too participate. His skits are about simple day to day problems like Alcohol abuse, child marriage, child labor etc. His audience immediately connects with him and love to host him in their homes. Not all Akram’s trips have been a breeze, a lot of times he had to explain a lot to the locals as well as authorities. Recently he was detained for questioning by police in Rajasthan and released only after a few days once they have completed their investigation and interrogation. I am not aware of the complete story but read this on his Cycle Natak Facebook page, when I was researching for this post. You can read the details on here on Facebook where Akram has posted some sketchy details of his ordeal. A quick update: Akram recently got featured on BBC News. So I guess SOLO travel is not all that glamorous as it is made out to be if you are a SOLO traveler in the true sense. Frankly, my dear, I don’t give a damn, but next time anybody tells me that they are a SOLO Traveler, I will share this post with them and tell them Mitchell and Akram are my benchmarks of solo travel, rest is up to them as we all have our own benchmarks that we live up to. What do you say? Do you know any SOLO Traveler like Akram and Mitchell? Please do share their contacts and I would love to meet them and perhaps feature them here on my little blog. 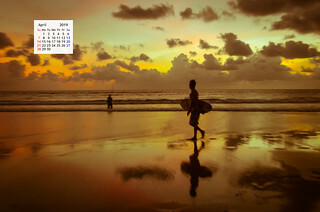 You are absolutely right….I have always thought about solo travelling. 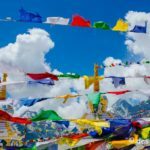 I started travelling after getting inspired by a lot of articles about solo travelling. But since I started travelling, I was not able to travel alone. Somebody would be there with me…Still, I enjoy travelling and will call myself a traveller who loves to see the world. That’s a beautiful and meaningful post. Asia memiliki banyak kekayaan yg luar biasa…..
1.I travel with husband and /or kids and not solo. 4.Never booked through tour companies so missed THE destinations. 5.I prefer to travel in comfort. 6.I have another job (horror!) and travelling is not my primary job! On my travels, I live each and every experience as if it was the last one for me . My feet itch for the next travel almost as soon as I touch base from the last one.I think that is why I travel and that is why many of us do. Enjoyed reading this,really ! Exactly my point.. travel itself is good and I don’t see why one kind of travel is better than others… And to be honest if you look from a pure helping the local economy point of view… family travelers ( the so called tourists ) pump more money in local economy than anybody else.. just look at all the souvenir shopping we do spend money on hotels, taxis, food etc. So I feel nothing wrong in traveling with family infact the earlier you start traveling with your kids the better travelers they will become. Solo – a term so often misunderstood and portrayed. I hope the so called solo travelers are reading this. 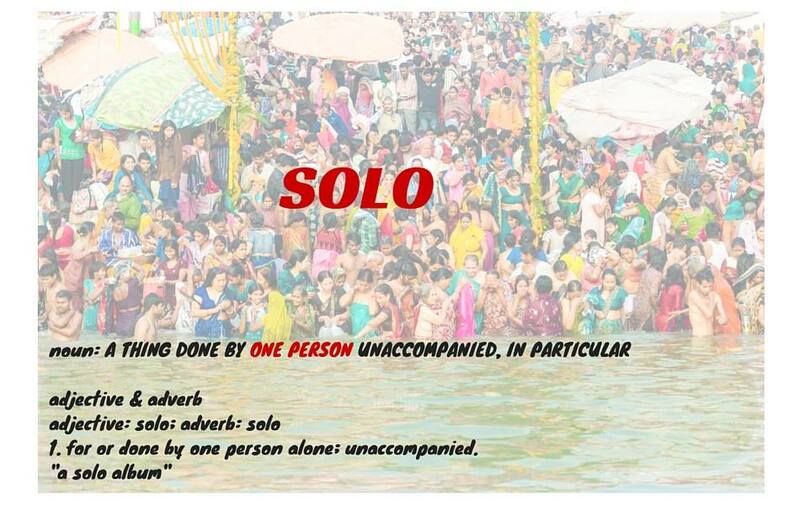 And even more interesting definitions of solo travelling. 🙂 But really? You didn’t make that up, na? Well said Prasad. Twice when I went to places on my own, Palampur and Kutch, I got such caring homestays that they became my guardians for that trip. 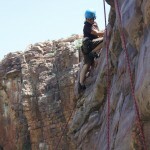 All my treks have been with a guide, actually a team of guides. Most of them are a blur, they go so fast. But then as you said, we love traveling, so how does it matter!